Chevre is about as simple as it gets. Bring fresh goats milk to room temp add a smidge of culture and a couple of drops of rennet, give it a quick stir, cover the pot and set aside for 18-24 hrs. Then drain through cloth in a colander, mix in a bit of salt and ShaZam, Chevre! Yes, that does make it sound just whey too easy, but you know we can not leave it alone at that. Read on, Cheese lovers. 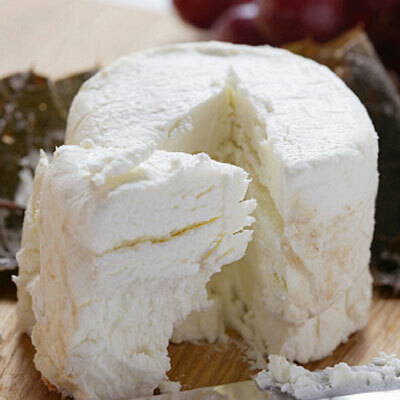 In France and Italy goat cheese goes back hundreds of years and it is no less popular today. In the New World it had traditionally been the furthest thing from our minds until 1980 when Laura Chenel introduced her version of fresh and sweet goat cheeses to Alice Waters at Chez Panisse in Berkeley. The American palette was quickly awakened to this new version of an ancient cheese and the rest was history. Soon many more small farms with just a few goats began increasing herd size and making goat cheese as well. Of course not far behind them were the larger scale goat cheese producers following the artisans lead. Thus was born a new era in cheese making in America and a very big factor in the rise of American Artisan Cheese Making. Up to 85 percent of American goat cheeses are mild and fresh, only a week or two old. 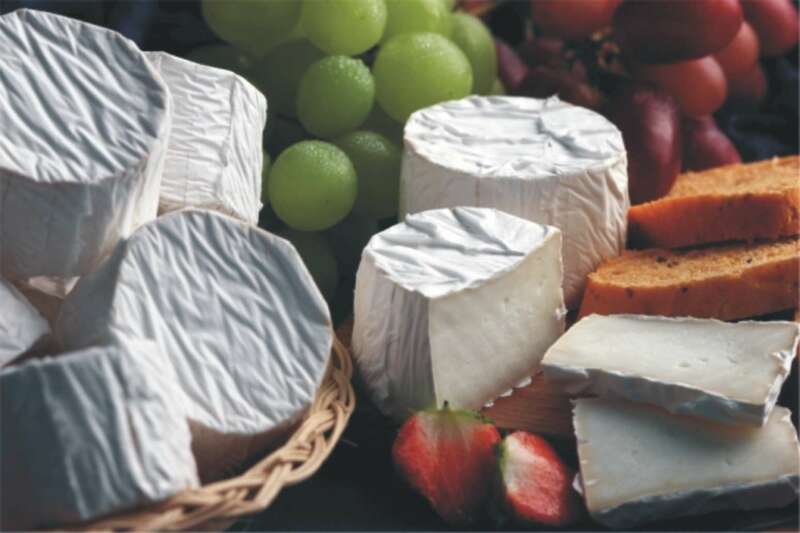 In fact, Chevre, the French term for goat, has come to mean mild, fresh goat cheese in the United States. Chevre is a white, creamy cheese made from goat milk. Fresh goat cheese should have a clean, acidic edge and a lemony aroma. It can be sharp, or it can be mild. It can be moist or it can be dry. It can be very fresh or aged for a bit to develop character. It can be presented in its unadorned persona or dressed up with herbs/spices or even with natural surface molds for greater aging potential. As Sister Noella the Cheese Nun points out, the steps in making soft cheeses are always basically the same and getting a different cheese is simply in the details. 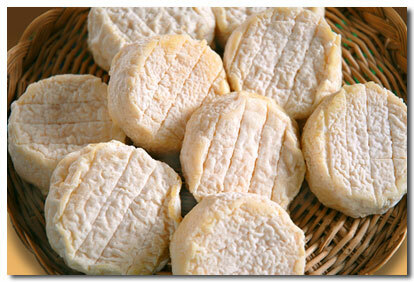 Most French goat cheeses are strong-smelling and "goaty" (as in "Buck") and may be much longer aged for character. The new American style tends to be mostly fresher and milder in both aroma and flavor, being only a week or two old. Although the term Chevre refers to all cheese made from goats milk, it is most often associated with a fresh mild cheese here. All of the variations in this soft cheese can be due to the proper selection of milk and changes in the process, as we will detail below. The basic process of making these softer goats milk cheese we know of as Chevre is known as "Lactic Acid Coagulated" cheese rather than a "Rennet Coagulated" cheese (as in most hard pressed cheese). For these particular cheeses, a curd forms when the lactose is converted to lactic acid and a lower pH of about 4.8 is reached. They will form a good curd even if the rennet is not added, but a small amount of rennet is usually added to improve the daily cycle of cheese making. These lactic cheeses need to be formed much smaller than the rennet set types because their curd structure is weak. 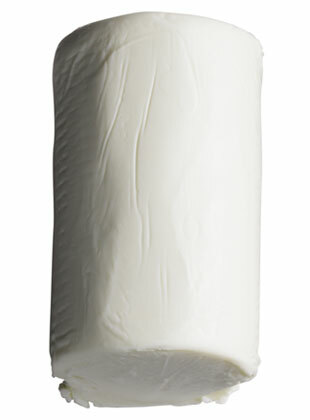 No pressing weight is used other than the simple weight of the curd itself when draining. The curd can be left loose or packed into forms for a more compact shape.